Gordon and Li Li are cousins. Gordon lives in Brooklyn, New York and speaks English. Li Li is from Beijing, China and speaks Mandarin. When Li Li visits Gordon for the first time, the cousins must learn to communicate using simple everyday words. 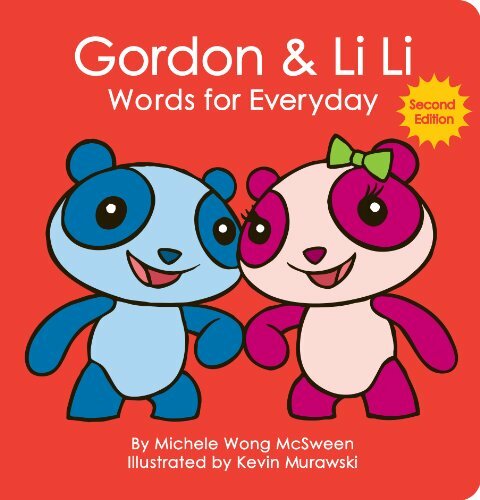 Kids read along with Gordon and Li Li, learning basic words and their correct pronunciation. Each page spotlights a single word in English and pinyin along with the Chinese character and the phonetic pronunciation to speak the word in Mandarin. The durable board book features colorful illustrations from artist Kevin Murawski. Words for Everyday is the perfect first-step in getting kids excited to open the door to learning a second language – and future language success. 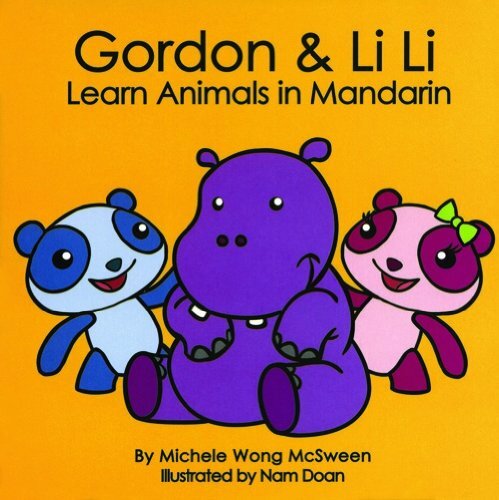 The second board book in the Gordon & Li Li series features a zoo full of adorable animals! Gordon & Li Li love animals – especially sharks, killer whales, polar bears and hippos! They teach each other the names of 28 different critters in English and Mandarin as young readers go along for the adventure and learn alongside the cousins. Each page spotlights a single animal with a bright, colorful and charming original illustration by artist Nam Doan. Every animal’s name is written in English and pinyin – along with the Chinese character and the phonetic pronunciation, which makes it easy for parents and children to read and recite. Gordon & Li Li love to count. In the third Gordon & Li Li board book, they count everything around them and teach each other numbers in English and Mandarin. So far, they’ve discovered three rock guitars, 11 sparkling tiaras, 18 swirly lollipops, 30 flying butterflies, 50 spinning hula-hoops and 100 twinkling stars. 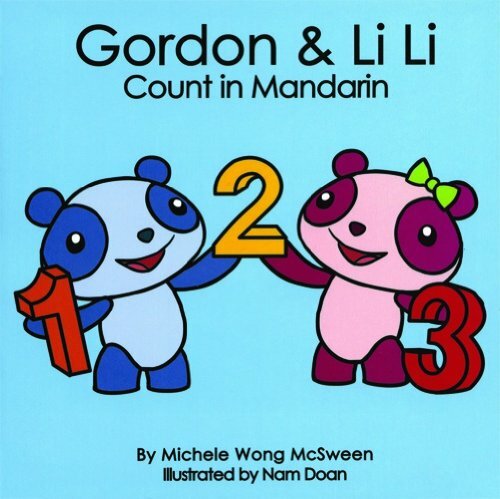 Kids read along with Gordon & Li Li as they find so many things to count in each other’s language. Each page focuses on a new number with an engaging original illustration by artist Nam Doan. Learning to count in Mandarin is simplified for readers with every page written in English and pinyin – along with the Chinese character and the phonetic pronunciation to say the number in Mandarin. Count along with Gordon & Li Li!